480.00 USD Note: Prices do not include tax. For Pre-Registered Pricing, please register 21 or more calendar days before workshop. Learn Quantum Touch in Two Days! 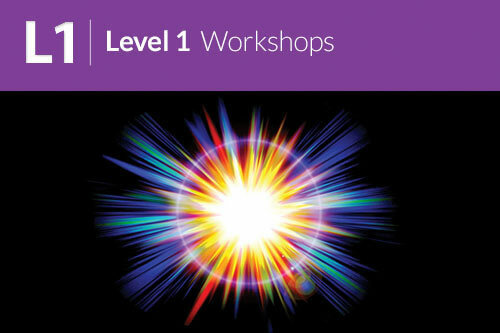 This class can be taken on its own to or as part of a 5 Day Pasadena Quantum Upgrade Retreat! April 8-9 Quantum Touch SuperCharging!! Enjoy an amazing weekend of learning Energy Healing! In this class full of love and laughter you will feel the amazing healing energy of Quantum Touch coursing through your body, you will feel energized, you will feel wonderful and see bones aligned before noon on the first day! The class will include vivid descriptions, multiple practice sessions during which I will use my ability to See and Perceive Energy to help you fine tune your energy flows. There will be lots of opportunities to practice hands on with the skills you are learning so that you are fully confident in your ability to run the energy by the end of the weekend. The energy is so wonderful during these workshops that joyful personal breakthroughs are common place. If you would like to learn how to accelerate healing for yourself, your friends and family, or anyone in the world, then come participate in this enjoyable weekend full of love and healing. Email tyler.odysseus@gmail.com and include your phone number for more information or to register for part or all of the Pasadena, CA Retreat! Thank you for reading and looking forward to sharing this amazingly powerful and uplifting energy healing class with you.